Grambling State University will host the 3rd Annual Eddie G. Robinson Sr. Leadership Lecture Series convocation on November 13, 2018, at 11:00 a.m. in the T.H. Harris Auditorium. The speaker will be Miechelle Willis. Recently retired, Miechelle Willis spent 30 years as an intercollegiate athletics administrator, including the last 22 ½ years as Associate/Senior Associate/Deputy Director of Athletics at the Ohio State University. Willis was a member of the Department of Athletics’ executive leadership team, providing leadership and strategic direction for the entire athletic department, comprised of more than 320 full-time employees, over 1000 student-athletes and operation of a budget of over $150 million. As Deputy Athletic Director, Willis served as primary advisor to Vice President/Director of Athletics, providing oversight for the department’s day-to-day operations and served as the primary decision maker in the Director’s absence. Day-to-day, she was responsible for the oversight of 35 Ohio State University sports programs, sport performance, athletic compliance, athletics communications, strategic communications, creative services, human resources, and served as academics liaison to the Student-Athlete Support Services office. Willis is a 1976 graduate of Grambling State University, where she was a standout track and field athlete. 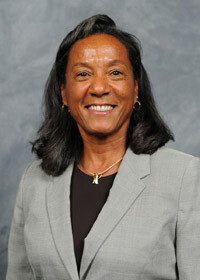 She received her master’s in Sports Administration from Grambling State in 1978. Prior to joining the Ohio State staff, Willis spent seven years at Temple University. She served as the primary administrator for 11 varsity sports at Temple and held department-wide responsibilities in the areas of compliance, personnel, student-athlete services, drug and alcohol education and testing. The Robinson Leadership Lecture Series seeks to promote and extend the legacy of Coach Robinson, whose accomplishments symbolize the true essence of leadership. Robinson spent 55 years as head football coach at Grambling State University, starting in 1941 when he was hired by college president and head baseball coach Ralph Waldo Emerson Jones. The inaugural event was held in 2016 with speaker James “Shack” Harris, a former GSU and NFL quarterback. Everson Walls, another former GSU alumnus and NFL football player, was the speaker at last year’s event. Photos of these events can be viewed on The Heritage Group’s website www.heritagegroupofla.com/gallery. The community is invited to attend this free program. This entry was posted in campus, events, press release on November 12, 2018 by Jovan Hackley.